PaSsu Diary : Bhutan Window- did you buy one? You did it, Bhutan Today! For those of you who didn't know yet Bhutan Window is the inaugural issue of Bhutan Today’s seasonal magazine. I am reading it now. I never left any book I read un-reviewed therefore I shall give my piece of mind on this in my later post. For now I am going to review the Bhutanese mindset on Bhutanese books. That shop in Wangdue town must hate me for coming every evening asking the same thing, “Did the magazine arrive?” perhaps I must have inspired her, now she has it on her shelf. However, Having it on the shelf is one thing and collecting dust on the shelf is another. The editor of the magazine is a good friend of mine and I am given to sell some copies for him. But I didn’t know I would have to beg some buyers before they could open their purse for Nu.90. They just look at the thickness of the book and compare with the cost. I have to tell them that it is not telephone directory. Some scream at the price. But there are a golden few who brighten up instantly and embrace it. I once visited DSB books shop, where I am told my teacher Karma Padey’s book Ta She Ga Cha- Broken Saddle is the best seller. Curious, I asked how much they sold. I didn’t imagine a million though but I did put my guess at about a hundred thousand copies before he could answer- four hundred! There are just a countable many Bhutanese books in the market, mostly self-published out of sheer love for writing ( I am proud to tell that I have a copy each of every one of them), and many good stories are still residing in the hard disk of some computers. Who will publish them? Why even publish them? After all who will buy them? Some of us cannot read at all, some of us would not read, some of us cannot buy, some of us would not buy, some of us can read and also buy but like borrowing more, only a precious some of us buy and read. If at all many of us will buy Bhutanese books, then many publishers will come up to give break to many writers and among the many writers we might come across great writers. Actually it is simple, it starts with you; did you buy a copy of Bhutan Window? Look at Bhutan Time’s Bhutan Now magazine, it’s now never. Let’s save Bhutan Window. Let’s make it a point to buy a copy of each Bhutanese book in the market, for diamonds are found in rock and only a million rocks gives out a diamond. Another problem is : these magazines contain articles on Bhutan. The readers are taken into a ride of our historical legacy and it's total bull crap because we don't want a history class on sunday. 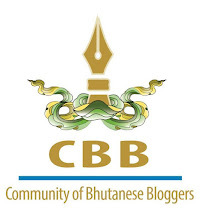 The problem with us is we either write about love or Bhutan or democrazy or Drukpa Kuenley. Something Different is what we need. Mosh? Thanks for the comment. But I know you didn't buy one! The magazine has come with a difference (nothing about history, drukpa kuenley, democracy) Time has taught them enough. You got to read it...of course buy it first. If you ever publish a book, what do you least expect? And i think the mag is interesting, but i may be biased!!!! Hopefully it wont die away, we are working on the next one. I am going to review your mag. I enjoyed it throughly...it must be the only mag I read page one to the last. Great work! Thanks for the comment! Hey PaSsu, I have a copy too. Kudos to Bhutan Today and Bhutan Window team. You guys have done a wonderful job. Already waiting for the next issue. Magazines in Bhutan do not survive; one because we have no readers (buyers to be exact) and two because they are expensive. Spending Nu.100 or 95 or 90 on a magazine is like a family forging three meals for a day. I am talking of low income group of people whose children want a copy of the said magazine. Students form a bigger chunk of readers. And most of them will be willing to buy them, but can their pocket money buy them the expensive mags? I am not sure. I think the content is more important than the appearance. They want no superior quality paper, give them superior content at affordable prices. Maybe students discount sounds exciting. But I too share your sentiments about the bleak market. I don't mind reading about Lam Drukpa Kuenley in various shapes and sizes, (lol) but I have had enough of this 'demoncrazy' thing, like Kinga rightly points out. Yes, give us new insights into ancient wisdom.